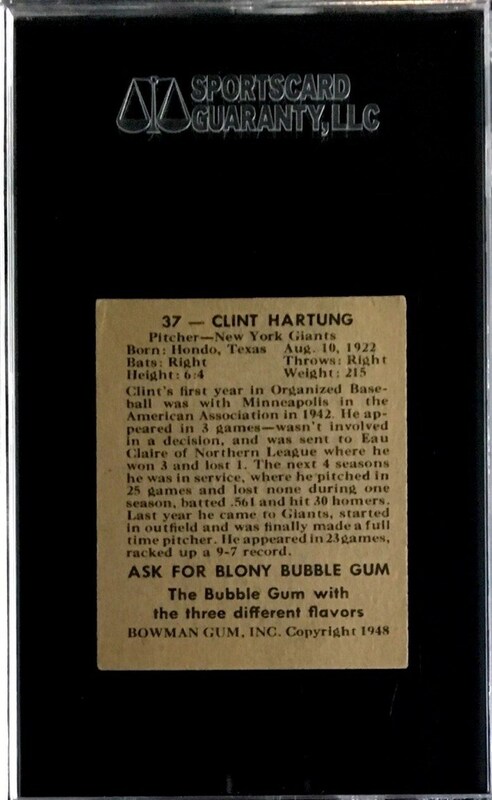 Up for your consideration is a 1948 Bowman #37 Clint Hartung card. Hartung played for the Giants from 1947 to 1952. Hartung had an interesting career as he started as a pitcher and was changed to a right fielder. 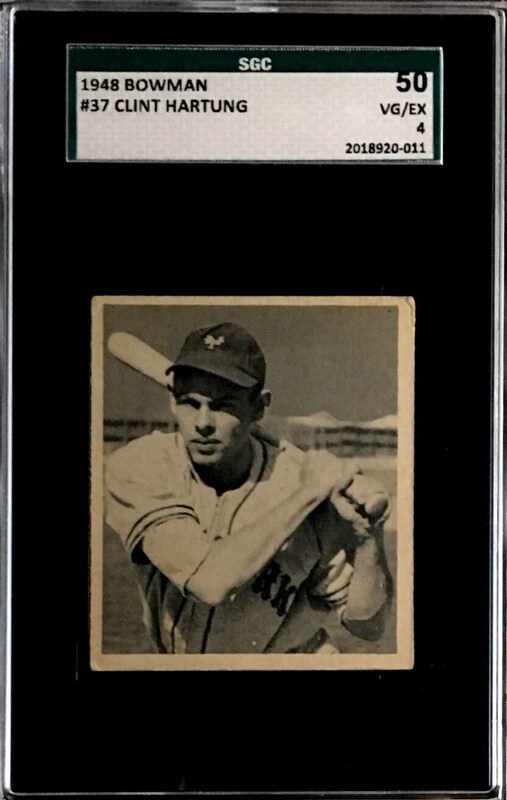 The card has been graded an SGC 50.